Home › Albums › Travel › Montreal › Poutine! Unfortunately, this place closed in 2012. La Cantine - Bistro Boutique - 212 Mont-Royal Est +1.514.750.9800. Even at the last bite , the fries stayed crispy. 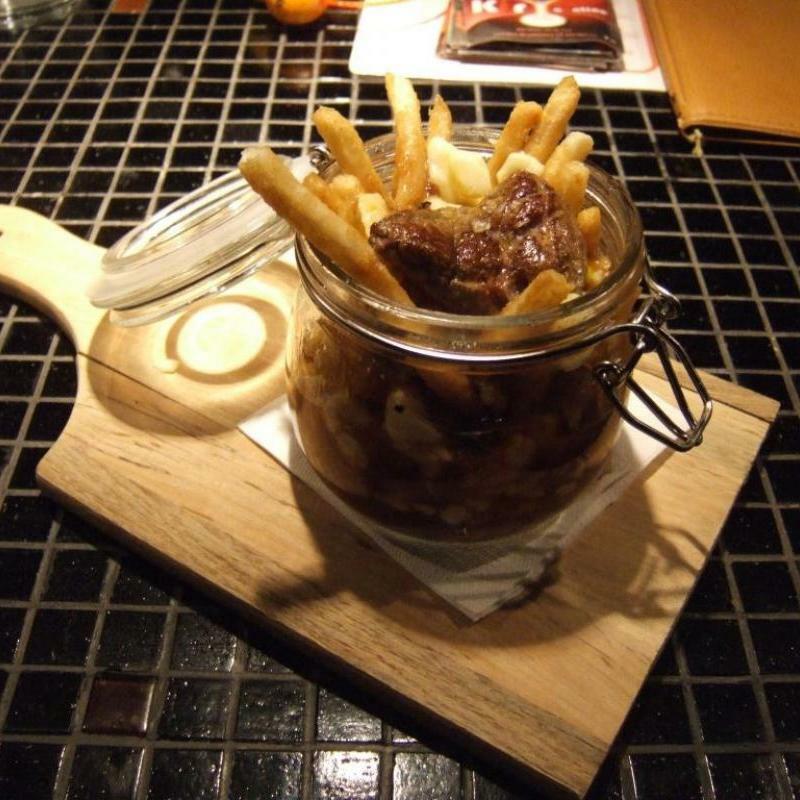 Small "jar" is for $7.50, with an extra $10 for foie gras (shown in the picture). For me, the foie gras was a bit too much, does not add anything to already excellent poutine. They use sichuan pepper, which adds a nice zing.